Here goes the episode 3 of Professor John Bull Drama Series titled 'Sorting Things', also showing on Nigeria Movie Network. Watch, comment and share with friends online! The third episode of Professor JohnBull ‘Sorting Things’ treats the interesting issue of inducement of lecturers for high marks by students. This episode highlights the various means of soliciting and receiving bribes in exchange for high marks in higher institutions, drawing attention to the evil effects of this social ill.
Watch out for Flash Boy, the “philanderer" (Stephen Odimgba), a student who will make attempt to financially induce his lecturer, Professor Gozie (Chiwetalu Agu), in order to pass his papers. 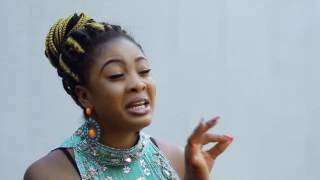 Also watch out for Caro, (Mercy Johnson-Okojie), Professor Johnbull's house maid, who will also try to influence her grades by offering her teacher, Jumoke (Bidemi Kosoko), inducement. She is eager to impress Professor Johnbull that she is making swift progress with her lessons. Find out if these characters will succeed in their various schemes. Professor John Bull Drama Series also airs on NTA Network, NTA International and Startimes on Tuesdays and Fridays from 8.30pm to 9.00pm. Brought to you courtesy Globacom.